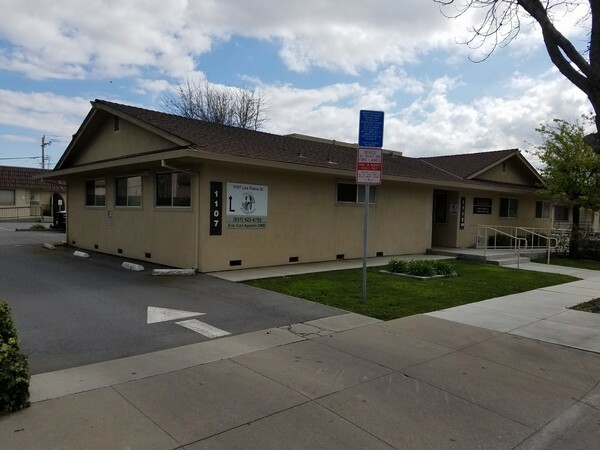 Our new Salinas office is currently open. We are located at 1107 Los Palos Dr Suite 4. We are located behind building 1115, on the east side of of Los Palos Drive. The parking lot is free for patients of Pacific Endodontics and available for use on Monday Wednesday and Friday during business hours. San Jose street is the closest cross street and located directly across from the dirveway. The image to the left shows the entry and building 1115 in the front with 1107 suite 4 in the back.